A UK Ministry of Defence programme aims to improve the efficiency and timely delivery of supplies to frontline battlefield assets using machine learning. The technology forms part of the UK MoD’s Defence and Security Accelerator Autonomous Last Mile Re-Supply programme and seeks to provide military logistics specialists with a better understanding of future supply and demand at the frontline, identifying which supplies will be required, where and when. Such information is crucial in helping to deliver vital supplies quickly and efficiently to maintain operational tempo and enable successful mission outcomes. The solution proposed by SEA and TTP is based on the provision of near real-time usage information of Combat Supplies (CSUPS) through exploitation of the opportunities provided by platforms with an integrated, open architecture and use of a neural net-based demand forecast system to provide a forecast of supply and demand based on the received usage information. 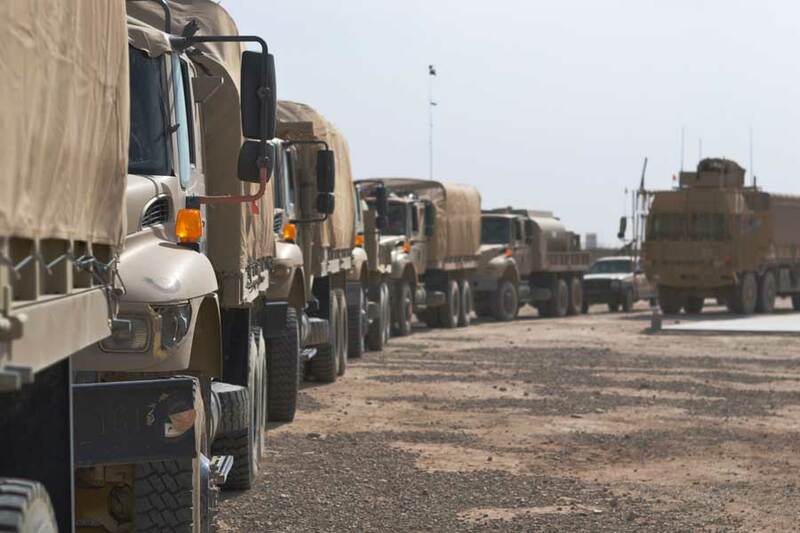 Tim Palmer, TTP group manager, says the programme draws upon its strengths in machine learning and mathematical modelling, and will enable proactive logistical support for troops in challenging situations. The technology will be based around the MoD Land Open System Architecture (LOSA) initiative, developing open platform system architectures, namely the Generic Soldier Architecture (GSA) and the Generic Vehicle Architecture (GVA), through the Common Open Interface (Land) (COIL). Soldiers on the frontline will be connected to other, wider systems, through an open interface, which will enable supply status information, such as battery power levels in a soldier’s radio, to be fed back through the open architecture into a logistic supply prediction capability. Demand forecasting will be provided by a neural network based mathematical model, that can formulate a future prediction based on ‘trained’ historical data—it is able to predict what will happen, based on what it has observed in the past. Specific operational information will be incorporated into supply predictions, such as movement routes, climatic information or likely threats faced. Collectively, this will will enable the system to inform commanders when and where supplies will be required by forward forces to maintain operational tempo.